Like many of us nowadays, I came to parenthood as a complete beginner. It was through my experience with all of those firsts – holding, diaper changing, breastfeeding, bathing, babywearing, etc. - that I realized how empowering it is to have someone experienced by your side. That’s why I became a postpartum doula. I believe that it is the right of every new parent to have the support of someone who can gently nurture and teach through those first few months. I understand that everyone’s situation is unique. If you struggled with infertility, experienced a difficult pregnancy, had a traumatic labor and delivery, or your early postpartum days have not gone as planned, postpartum support can be especially important. My own journey into motherhood included many of these twists and turns. Once I gained the confidence to trust my intuition, I felt like a natural mother. By providing non-judgmental support and evidence-based information, a postpartum doula can help you to find your stride as a parent. Though I worked many years in other professions – as a cook, teacher, researcher, and retail manager - I’ve found that doula work is a perfect way for me to use my diverse array of skills and knowledge. I am by nature a nurturer and teacher, I love getting things done, and I enjoy doing the research (so you don’t have to in those sleep-deprived times). As a bonus, I absolutely love to cook and have plenty of recipes to meet your individualized dietary needs. When I’m not supporting parents of newborns, you’ll find me exploring the outdoors with my family, doing yoga, reading, or baking. I also work part-time as an Outreach Manager for a small nonprofit (www.lumunos.org). I can’t wait to come alongside as you begin this journey! I look forward to hearing from you. We proudly support families of all types, ethnicities, sexual orientations, and cultural and religious backgrounds, single parents, unmedicated and medicated births, first time parents and experienced parents, vaginal births, VBACS, and planned and unplanned cesarean births, twins and multiples, hospital births, home births, birth center births, births attended by obstetricians and midwives. ​ We provide inclusive support and education for families in western North Carolina including: Arden / Asheville / Bent Creek / Barnardsville / Biltmore Forest / Biltmore Lake / Black Mountain / Brevard / Canton / Candler / Enka / Fletcher / Fairview / Hendersonville / Leicester / Mars Hill / Marshall / Mills River / Swannanoa / Waynesville / Weaverville / Woodfin / and the surrounding areas of WNC. 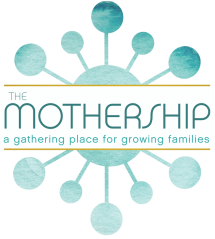 Providing exceptional doula care to Asheville and western North Carolina. Asheville / Arden / Barnardsville / Bent Creek / Biltmore Forest / Black Mountain / Brevard / Candler / Canton / Enka / Fletcher / Hendersonville / Leicester / Marshall / Mars Hill / Mills River / Sandy Mush / Swannanoa / Weaverville / Woodfin / and all the areas in between!